The Multigenerational Workplace: Have you noticed your newer teachers feel and look and act differently than novice teachers you remember? Are you hearing of communication challenges between colleagues of different ages? Generational factors might be coming into play. This session will provide tools, resources and food for thought on this increasingly intriguing topic. 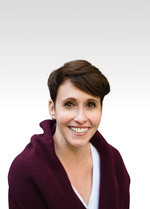 "Jennifer Abrams is dynamic as a speaker/presenter/workshop facilitator. Her workshops are teacher focused, engaging, and thought provoking while leaving the participant wanting more."